At the close of my previous posting about the embarrassingly low cutoff score (30 out of 87, or 34.5% was scaled to be a 65) in the June Regents Integrated Algebra exam, I promised to post a small sample of math problems posed to graduated fifth graders in China. First, some brief background. Primary schools in China run from grades 1-6, middle school 7-9, and high school 10-12. Each summer, elementary school students in Suzhou (a city of 1.5 million located about 50 miles west of Shanghai) receive a 60-75 page, multi-subject workbook they are expected to complete during their vacation break. The problems below are translated directly from the 2003 summer workbook for soon-to-be 6th graders. They are just a small sample from that year's assignment, but they are indicative of the level of mathematics expected from China's incoming sixth graders. 1. Two gear wheels interact with one another. One gear wheel has 72 teeth, and the other has 28 teeth. If both gears have marked starting points that are together when the wheels begin turning, how many times will each wheel rotate before the two marks meet again? 2. Three identical cubes are placed side by side to form a rectangular cube. The surface area of the rectangular cube is 400 square cm. less than the surface area of the three cubes standing separately. What is the length of one edge of the small cubes? 3. A rectangular cubic box is to be made of wood with measurements length 50 cm., width 40 cm., and height 18 cm. How many square meters of wood are needed to make the box? 4. A rectangular piece of cardboard has a length of 32 cm. Squares of 4 cm. on a side are cut out of each corner of the rectangle so that the remaining piece can be folded into an open-topped box. If the volume of the box is 768 cubic cm., what is the area of the original piece of cardboard? 5. Last year, the ages of both a mother and her son were prime numbers. This year, the product of their ages is 532. What are their ages this year? 6. Solve the following problems. As a math major in college and former high school math teacher, I am particularly enamored of the mathematical aesthetics in the first question above. The rotating gear wheel question is a simple but highly elegant variation of a common problem in fraction arithmetic, as is the mother/son age problem in Question 5 (although not quite as elegant a problem formulation). A hint: unlike nearly all schools here in the U.S., Chinese primary schools emphasize the use of prime factorization for fraction arithmetic. Most primary school math teachers here would likely not even know what prime factorization is. 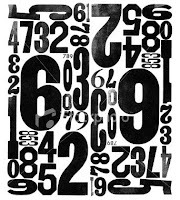 Note also the shifting of units of measure in Question 3 and the constant mixing of fraction and decimal number representations in Questions 6 and 7b. How might our 9th grade Integrated Algebra exam takers last week have fared with these 5th graders' questions? reasons that Patrick and I felt it necessary to vote no. felt he simply could not approve of the proposed budget. the Mayor and the City Council for approval. the deepest cuts would likely lose teaching staff as well. In the race for the future of Thomas Friedman’s flat world, New York State’s public school 9th graders will be flat-out losers. Here in the world capital of repeated annual dramatic advances in Grade 3-8 standardized math exam scores, the NYSED announced today that a raw score of 30 points out of 87 (just 34.5%!) was all that students were required to earn to achieve a passing grade of 65. In the State’s headlong race to lead American students to the bottom rung of the industrialized world’s academic ladder, we’ve proudly declared a 35 to be our 65. Not the 43 (36 out of 84) that we already embarrassingly accept for Math A. No, we had to lower the bar over 18% more in order to claim our utterly undeserved NCLB laurels. And what a 35% it is! Decidedly not the kind of 35% some of us experienced in college from professors who routinely crushed their students (and taught us our place) with exams where no student cracked 50%. Not hardly. Consider first the format (click here to access a downloadable copy of the exam). Thirty (30!!) multiple choice questions, worth two (2!!) points each, comprised 60 of the exam’s 87 possible points, or 69% of the total. Let’s say you know enough math to answer ten (10!) of those multiple choice question and simply blind-guessed the other 20 questions. Basic probability dictates that, on average, five of your guesses are correct, and that gives you fifteen correct answers. At two points each, that’s 30, and congratulations, you just passed the only high school Regents exam you need for your high school diploma. How much math did you know? Twenty points’ worth out of 87, or 23%!!! With only average luck, a 23% is now New York State’s 65% level of math expectations. Consider second the complexity of the questions. Can you tell a straight line from one that isn’t straight? Can you count the number of equal-sized areas of four different colors on a spinner divided into eight pie-wedged segments? Can you figure out gas mileage given a number of miles and a number of gallons of gas consumed? How about the volume of a cube or the surface area of a rectangular box? Sound like high school math? Oh, never mind. What’s the point? These 9th graders don’t even have to memorize such basic formulas as the slope of a line or the fundamental right triangle ratios for sine, cosine, and tangent – they get a reference sheet for that! To anyone who still believes that the State’s testing regimen isn’t being dumbed down while having its bar successively lowered, it’s time to wake up. Worse, to anyone who believes the incessant, self-congratulatory hype from Albany and (especially) New York City’s Mayor and Chancellor about standardized exam passing rates in grades 3-8, guess what? They’re absolutely illusory, with nearly zero carryover effects to even the most menial high school math. What today’s results make clear is that the City’s and State’s children are only improving in one area of mathematics – taking those Grade 3-8 standardized exams. For all the crowing about results last year or the year before, this year’s 9th graders on the whole were more clueless than ever. 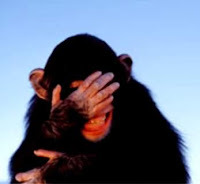 What now passes in New York State for high school level competency in mathematics, represented by the new Integrated Algebra I Regents exam, is by any measure an international laughingstock, an exam that a typical 6th grader in China could ace with hardly a second thought. I know this first-hand -- I could show you required summer workbook questions for incoming 6th graders in China that most adults reading this posting could probably not answer. Actually, I think I’ll provide them in another posting. Hey City Council, what are those $800 million in "nondiscretionary" DOE cost increases? I recently sent this letter to City Council Member Dan Garodnick, and similar letters to Speaker Christine Quinn and Council Member Alan Gerson, with copies to Council Member Robert Jackson of the Education Committee. I encourage other parents to do the same. Dramatic cuts to school budgets are being negotiated in the City Council right now, and the cost basis for these cuts deserves to be challenged. UPDATE: See full detail on Tweed's $809 million in "non discretionary" cost increases here and $154 million in "discretionary" increases here. It was good to meet you last week and convey some of parents' concerns about the DOE budget. Of these reputed overruns only about $380 million is increased staff expenses, and $2 million of that is a CSA bonus created by Chancellor Klein. Only $43 million is increased transportation costs. - $20 million in "school support reserve": what is this? - $10 million more for ELA and math test scoring. Why? - $2.3 million more for "Talent Intitiatives": what is this? In their budget cuts document (also attached), DOE claims they are cutting periodic assessments and children's first intensive programs at a savings of $1.4 million and $2.45 million, respectively. But under "necessary improvements" these programs are identfied as increasing by $3.6 million and $2.8 million, respectively, in costs. Additionally, according to Principals' Weekly, DOE is doubling the size of data inquiry teams. This cost does not appear in the budget. The accountability office and the quality reviews could also be cut. Their value in relation to their cost has never been convincingly demonstrated to the public. DOE officials are saying to parents and officials all over town that they are obliged to make draconian cuts to high performing schools because they are burdened by increasing costs. But these are costs of their own devising. Before we sacrifice successful schools, and challenge salutary influence of the CFE funds on our struggling schools, we should look to how much these expensive programs are really doing for us. And we certainly should not allow them to be disguised as necessary increases in basic operating costs. The Department of Education is pleased to announce an exciting new development in data management, which will vastly improve the delivery of services to the school children of NY City, and will result in the maximization of educational output throughout the system. To achieve this, the DOE, in partnership with Microsoft and Blackwater USA, will be engaging in a $500 million expansion of the ARIS computer system. Phase One of the upgraded system, to be completed by September, 2008, will enable the DOE to deliver personalized instruction and monitor student and teacher performance in “real time” through the installation of ARIS terminals at every desk in every classroom in the city. Phase Two, slated to be rolled out in January 2009, will feature terminals in every child’s home, to monitor homework production and test preparation and insure maximum “time on task”. Finally, Phase Three, to be implemented in time for the 2009-2010 school year, will see the installation of ARIS terminals in every teacher’s home, to assist and monitor teachers in maximizing their OSP (Out of School Productivity). Due in large part to the upgrade of the ARIS computer system, student test scores for the 2009-2010 school year rose an average of 63%. This should once and for all silence those defenders of the status quo who have opposed our data-driven reforms. "Joel Klein told me that every Friday night, his wife, who works for Sony, gets an email telling her which movies led box office sales that week. Technology exists that provides data in real-time. Why are we not using it to personalize instruction for students in the classroom? I was in San Diego on Monday, where I met with leaders in technology and innovation. We talked about how technology is beginning to personalize educational experiences." Spellings seems to share the Tweed fantasy that using technology to analyze student standardized test score data somehow "personalizes instruction." It is this same delusion that has led to the tumor-like growth of the Accountability initiative which continues to metastize through NYC public schools, each year adding more "Senior achievement Facilitators," "data coaches," and "data inquiry teams" . Next year, despite all the budget cuts that will mean less tutoring, less afterschool programs, and larger classes, the Chancellor insists on creating even more "periodic assessments" and doubling the number of data inquiry teams in each school. Spellings: "It makes me wonder, how can some people justify denying poor and minority families the same options they exercise themselves? " 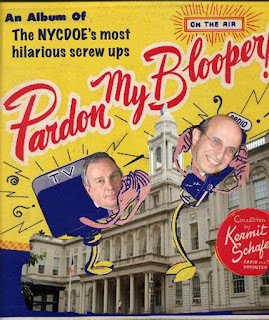 How can Joel Klein and Michael Bloomberg justify doubling the number of assessments and data inquiry teams that no private school in the country would countenance, while denying NYC children the chance at real personalized instruction through smaller classes that their own children received? In brief, my view is that the city should not be creating special schools based on religion, ethnicity, and language. The long-established tradition of public education is that public schools are open to all and offer a curriculum that is appropriate for all. Because we are such a diverse nation, the public schools provide the common ground for children and families of all backgrounds. This is why in the past most Americans would have immediately and instinctively opposed the creation of a special school for children whose families come from one nation; or one race; or one religion; or one culture. Such a concept is directly in conflict with the mission of American public education, which is to educate our children for citizenship and full participation in our democracy. Parents who want their children to learn about their heritage culture and language should do so after school. And public schools, for their part, should offer a variety of languages and teach about the nations and cultures of the world. But it is inappropriate for a public school to teach as if it were a private, sectarian school. That is not what public education is supposed to be. Authorizing schools that teach only one culture and one language is at odds with the long-established meaning and purpose of public education. The NY Times had a front page story yesterday describing how the Chancellor's changes to the Gifted and Talented admissions process have led to far less diverse group of students being served by the program, both economically and racially, a fact that was pointed out weeks ago on our blog as well as in a far more detailed manner, Eduwonkette’s. Months before that, when the city first proposed to centralize the G and T admissions process and base its decision solely on uniform cut off scores on standardized exams, we pointed out that this would likely significantly diminish diversity and benefit wealthier students at the expense of poor and minority kids. Here are excerpts from entries that Patrick Sullivan, Debbie Meier and I wrote about the likely effects of Klein's policies back in Oct. and Nov: here, here and here. Apparently others warned the DOE as well, including Joseph Renzulli, who serves as a consultant to a city task force on the gifted. Using standardized exams for high stakes decisions has a racially disparate impact, according to the National Academy of Sciences task force on the subject – and thus is racially discriminatory. But Joel Klein’s notion of “equity,” as it is becoming more and more clear, is not to increase diversity and opportunity for all kids – but to base all decisions on abstract, numerical formulae that he and his minions devise without input from anyone else – like the DOE's controversial "fair student formula" that would cut half of all failing schools by an average of $400,000, and the absurd formula for school grades -- no matter what the results or the real impact on kids. Thank you to all who nominated an entry to the contest "Tweed's Greatest Foul-Ups." This was very difficult to judge because there were so many foul-ups, so many fiascos. It is hard to say which was the absolute worst: the school bus re-routing, the ARIS supercomputer, the credit recovery contribution to raising the graduation rate, the "end of social promotion," the report cards, the pre-K admissions mess, the middle school admissions mess, the gifted and talented admissions mess, the quality reviews, the mindless obsession with test scores, on and on. All contributed to turning the New York City school system into a new and painful version of 52 Pick-Up. But this game is not funny. It is only funny when Gary Babad writes the press releases, even if they are fake. Two nominations had to be excluded because while they were powerful, they were not the work of Tweed: one, Norm Scott's suggestion that turning the education system over to a politician was the original disastrous mistake; and two, the suggestion (by anonymous) that hiring a non-educator as chancellor was another disastrous error. The first, as Norm notes, was the decision of the Legislature; the second was the choice of the Mayor. So, the fastest way to whittle down the list of finalists is to restrict them to those who signed their name to their choice. That makes for a very short list, which is indicative of the fear that people in this city have to openly criticize those in power. This in itself is indicative of the terrible change, the repression of open discussion, that the new regime has introduced into our civic life. Faced with a very short list of people who were willing or able to sign their names, I award the grand prize to Diana Senechal, who selected the "workshop model" as her biggest blunder. I take it that the blunder was the effort to impose a single method of teaching, in the absence of any genuine curriculum. This blunder was itself indicative of the arrogance of power, the belief that these non-educators could tell every teacher in the system how to teach. From that same arrogance flowed all the other blunders and fiascos, all recognized by teachers and parents, but unacknowledged at 52 Chambers Street as errors. Report from C4E hearings; and how you can help! Last night’s Contract for Excellence hearings at Fashion Industries HS were well-attended: Assembly members Deborah Glick and Linda Rosenthal were especially strong on the lack of transparency and accountability on the part of the DOE re class size. Council members Gail Brewer, Eric Gioia and Robert Jackson focused mostly on the city’s proposed budget cuts. Parent delegations from PS 116, PS 41, and PS 59 spoke about overcrowding and growing class sizes at their schools, and Philippa Schuyler MS parents protested the fact that the DOE is forcing a charter school into their building, making it difficult for them to reduce class size below 32. Coalition for Educational Justice members were there in force, and exited chanting midway through the evening. Le Roy Barr of the UFT inveighed against the cuts; Patrick Sullivan, the Manhattan rep on the PEP testified against the city’s proposal, as did Susan Crawford of the Right to Read project, parents from La Guardia HS, PS 6, PS 290, Wagner and Lab, and several other schools whose names I didn’t catch. Several commented on how the way DOE changed the dates several times had discouraged more parents from participating. Be sure to send copies to Commissioner Mills and Deputy Commissioner Duncan-Poitier at richard.mills@mail.nysed.gov and p16education@mail.nysed.gov. Thanks! Sure glad we happened to notice it on our way out of the building. No buzzer to let us know we had important mail waiting for us downstairs. Friends who live one street over found their letter on a ledge near their mailboxes while several other letters were left in the vestibule of their building. 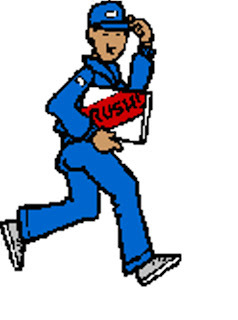 They called it the Chinese Take Out Menu theory of delivery." Thanks to Bijou Miller who forwarded us this email. For more on the DOE's original (and expensive!) delivery of these these letters, see our earlier entry. Diane Ravitch is especially eloquent on competing visions of education reform– including the new Sharpton/Klein alliance: Is More Testing the New Civil Rights Agenda? NYC Educator combines humor and wisdom at Mr. Klein Makes a Concession. June 15, 2008 (GBN News): Speculation has been running rampant over the mysterious “anonymous” source of funding for the “Education Equity Project” currently being championed by Schools Chancellor Joel Klein and the Rev. Al Sharpton. Few details have been revealed about this project and how it intends to reduce the “achievement gap” in education, but the alliance between Mr. Klein and Mr. Sharpton has raised more than a few eyebrows. GBN News has now learned exclusively that the project is backed by a secret slush fund, being raised and disbursed by a shadowy group comprised of experienced operatives including former Tajik strongman and current head of school security Emomali Rakhmon, and Watergate veteran Donald Segretti. A source at the NY City Department of Education, known to GBN News only as “Deep Strep Throat”, claims to have first hand knowledge of this slush fund, and has revealed some of the details of its use on condition of anonymity. According to this source, the Education Equity Project is merely the public face of a vast clandestine conspiracy which aims at nothing less than the subversion the entire national educational and political process. Utilizing a series of dirty tricks ranging from spreading disinformation about Presidential candidates to setting off stink bombs at teachers union headquarters, the ultimate goal is to so discredit both major party candidates that the parties will seek to turn at the last minute to the only political figures not tainted by the dirty tricks: Mayor Bloomberg for President and Reverend Sharpton for Vice President. Whichever party nominates this ticket will thus be assured of victory in November. Joel Klein is then to be named “Education Czar”, whose vast powers will be guaranteed by Mr. Rakhmon’s legions of school security officers. 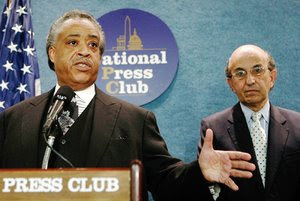 Update on Sharpton/Klein alliance: "REV. 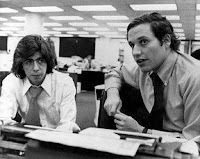 AL SOAKS UP BOYCOTT BUCKS"
See the expose in today's NY Post, which describes how Al Sharpton apparently "shakes down" corporations, threatening them with boycotts unless they contribute to his organization, the National Action Network. Currently, his organization owes the IRS $1.9 million in payroll taxes, according to the article. Which further begs the question – is someone contributing to Sharpton's operations to persuade him to ally himself with Joel Klein, and if so, who is it? Apparently, the US Attorney's Office in Brooklyn is conducting a grand-jury investigation of his organization's finances, as is Attorney General Cuomo. Hopefully we'll find out someday. More good timing on the part of Joel Klein, who certainly knows how to pick his friends. But I guess beggars can't be choosers. After all the fiascos and late arrivals of preK and middle school admissions, there are lots of comments on Insideschools blog that the Gifted and Talented letters have finally arrived – hand-delivered on Saturday and Sunday to parents throughout all parts of the city -- by drivers in vans! I hope some reporters are looking into this…what a way to run a school system. Update: see this follow-up article by Eliz. Green in the NY Sun. The mystery continues: who is funding the Klein/Sharpton operation? See the latest email from David Cantor below – DOE’s press secretary-- on the fact that the new Klein/Sharpton operation is being funded "anonymously" -- though apparently not by Bloomberg himself. In our earlier posting, we reported his assertion that the Gates/Broad foundations were not implicated either. One would think that given the kind of public campaign that these men say they are embarking upon, including staging "events at both political conventions” and attempting to influence the position of the next President, they should be obligated to reveal their source of financing. David also questions my description of the DOE press office as large and well-funded. Here is an excel file from last October with the names, salaries and positions of thirteen people employed in the DOE Communications office, as well as many additional PR staffers, including seven in the “Strategic Response Unit”, those tasked with responding to outraged emails from parents, whose canned non-responses usually result in outraging them even more. According to those in the know, the DOE press office is at least four times the size of any previous administration and much larger than the press operation of any other city agency. It is more than twice as big as the PR department of the US Department of Education. Not that its members don't earn their salaries, working overtime to cover the blunders and misstatements of their superiors. Speaking of which, the file also contains the salaries of the top administrators at Tweed as of September 2007 – with Jim Liebman, former Columbia law professor, tied for third at $196,575.00. Liebman was appointed as head of the so-called Accountability office, despite the fact that he had no experience in the fields of public education or testing and proceeded to prove this. See this newsclip from Channel 2 back in December; with Klein trying to justify the fact that 18 officials at Tweed were paid more than $190,000 a year, saying that they could earn three times their salaries in the private sector. I responded that if so, they should go back there, because they had abundantly proven that they don't know anything about public education. As to the ongoing mystery about who is funding the Klein/Sharpton operation, I followed up by asking David who is paying his salary when he acts as the chief spokesperson for this effort. Is he getting paid extra by this "anonymous" donor -- or are his additional duties being covered by his regular salary, i.e. through taxpayer money? In the midst of budget cuts to schools, one would think this was rather hard to justify. Secondly, is he thinking of writing an expose a la Scott McLellan about his adventures in the land of Tweed when Klein's term in office is over? I myself would pay a pretty penny for such a book, and I bet others would as well. Perhaps by cutting down on the high salaries of some of Tweed’s top educrats -- or eliminating one or two positions in the burgeoning Accountability office, they might be able to afford to pay a repairman. Or they could save on Liebman’s salary, as he is supposed to return to his professorship at Columbia in July. As soon as I receive a response from David, I will let you know. Subject: Re: question for David Cantor: who is funding this project? Leonie: The project is being funded anonymously. No public money will be spent. The mayor is not funding the project. Re comments on your blog: If Class Size Matters ever wants to hold a press conference in Washington, the National Press Club room we used (Zenger Room) is available for $500. Also, I invite you to come over to the press office when next you're at Tweed and check out our "huge" communications "juggernaut" at work. I think you'll be surprised. If you're any good at fixing a copy machine we may put you to work. Who is funding the Education Equity project? David Cantor, Press Secretary of the NYC DOE emailed our NYC education news list serv this morning to say that our previous posting was wrong, and that "No Gates or Broad money is going to this initiative. Zero." This begs the question who is. We have asked Cantor to tell us who is funding this effort, which will likely cost a bundle -- even renting the National Press Club for the kick-off event couldn't have been cheap. Cantor himself is listed as the lead of the two spokespersons on the official press release, suggesting that those who say that the DOE's inflated press office does not have enough work to justify its size and expense are correct. So is this campaign coming out of our taxpayer money? In the midst of an economic slowdown so dire that the Mayor says he is forced to cut all city agencies, including education by $450 million? And/or is this project being subsidized by Bloomberg himself? June 13: See update and correction on funders here. As predicted, this "new" coalition will focus on charter schools, union-busting and teacher scapegoating – with not a single word about the need for any of the reforms that have actually been proven to work to narrow the achievement gap -- like class size reduction. This strategic alliance, or "beautiful friendship" as Klein likes to put it, appears to be based upon the ideological biases of its funders -- the Gates and Broad foundations. Who is he kidding? While he has been missing in action on these issues, the NAACP and other mainstream civil rights organizations have led the charge on educational equity – including, most recently, helping sponsor the Florida constitutional amendment requiring smaller classes in all grades. Sure. Tell me a single educrat at Tweed who has been held accountable for their multiple fiascos, from the bus route disaster last year, to this year’s mix-ups with admissions to G and T programs, preK and middle schools. Not to mention the serial blunders of the Accountability office, from the ridiculous school grading system to failure of ARIS, the $80 Million plus super-computer system. Talk about educational equity! I guess those kids don’t need English teachers – another backwards version of equity, no doubt, in the twisted land of Tweed. An article in the News reports on the continuing harassment of Sikh students, which unfortunately omits the fact that the DOE has refused to comply with a law passed by the City Council four years ago, requiring the reporting and disciplining of anti-bias crimes in schools. Also see the article in the News about Marie Pollicino, Queens CEC member, who filed a complaint against the attempt by DOE to eliminate all authority of parents on School Leadership Teams to develop school budgets and Comprehensive Education Plans. See our blog in early January about this outrageous and illegal move by Klein et.al., just after the complaint was originally filed. As Sharpton said at the news conference, “Who is standing up for the children?" Not either of these hucksters, that’s for sure. Nor the Gates or Broad foundations, which are bankrolling this unholy alliance. 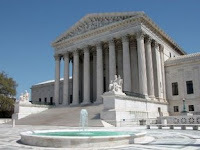 June 12, 2008 (GBN News): Attorneys for the hundreds of NY City teachers being held in Reassignment Centers known as “rubber rooms” say that, due to yesterday’s US Supreme Court ruling, those teachers may be able to challenge their detentions in court. In a 5-4 decision, the Court ruled that the rights of hundreds of terrorism suspects being held indefinitely and without charges at Guantanamo Bay Naval Base have been violated. Like those detainees, many of the rubber room teachers are also being held without being informed of the charges against them, and some have been waiting longer than many Gitmo detainees for their hearings. Their attorneys are prepared to argue that if the Supreme Court decision applies to foreign terrorism suspects, it should certainly apply to NY City teachers. Six years into mayoral control, it is time for an accounting. For the sake of history and memory, can we begin to compile a Directory of Tweed's Greatest Foul-Ups? Parents and others; please contribute your nominees for this distinction by posting them on the comment section of this blog. 1. The re-routing of bus routes in January 2007, leaving thousands of kids in the cold. 2. The centralization of Pre-K admissions in June 2008, leaving many children without seats. 3. The centralization of middle school admissions in June 2008, leaving many students not knowing where they would be going to school. 4. The revision of admission to Gifted programs, reducing access to these programs in many communities. Describe the snafu. What year? Explain why it mattered. Not more than a couple of paragraphs. The decision of the judge will be final, and the full list of nominations will be posted on the NYC education news list-serve and this blog. The winner receives an autographed copy of "The Great School Wars: A History of Public Education in NYC." hearings on Contract for Excellence -- make your voice heard! Hearings will be held this week in the Bronx and Brooklyn on the city's use of the additional state funding for our schools under the heading of the Contract for Excellence (or C4E) -- supposed to be used in five specific areas that research has shown to improve student achievement, including class size reduction. Queens and Manhattan are slated for the week after. The full schedule is below. Speaker sign-in will begin at 6:00pm, and each will be given 2 minutes to speak. Written comments will also be accepted through 6/27/08 at: contractsforexcellence@schools.nyc.gov. For flyers in English and other languages are here. Please come and make your voice heard -- about the overcrowding at your school, the DOE's proposed budget cuts, or anything else that undermines your child's opportunity to receive a quality education. Transcripts from these hearings are posted online and are provided directly to the Commissioner of Education Richard Mills; this is one of the few opportunities that NYC parents have to speak out and communicate directly with someone with the authority to command the otherwise unaccountable educrats at Tweed how they should be spending our taxpayer money. I have prepared a new briefing sheet on the the city's dismal record on class size since the state passed legislation last year mandating smaller classes; it also has links to more information on your schools' class sizes, the city's current class size proposal, and what the state should require in place of the city's transparently imaginary plan. Rather than use a penny towards a realistic, "targeted" class size reduction plan, the DOE is leaving it up to principals to use their allotment of "fair student funding" to lower class size, if they so choose -- ignoring that many of them have neither the space nor the ability to cap enrollment to make this possible. Moreover, the administration has no intention of supporting them in their effort to do so. Instead, the DOE plans to use $20 million of the C4E funds to "expand" their unproven merit pay scheme for teachers, along with many other questionable priorities. Note: If you are a parent who applied for a preK seat for your child, please take this online survey. More evidence of the massive screw-up in preK admissions, compounding the serial fiascos of middle school admissions, Gifted and Talented, principal bonuses, and nearly every other program that DOE has insisted on taking control over in recent months. Applications for the second round of the pre-Kindergarten admissions process will be available at borough enrollment offices and online beginning June 23. Anyone who did not receive a match in the first round will automatically receive an application in the mail. In the first round, 17,000 of 20,000 applicants received an offer to a pre-K program, and 15,000 received an offer to their first-choice school. Up till now, the media has featured mostly middle school parents who are justifiably angry at being denied seats despite sibling preferences that DOE assured them would guarantee their child a seat -- or others who had been locked out of their zoned elementary school when out-of-zone applicants received offers. Another problem, not as widely reported, is how the new centralized process worked against parents whose kids need preK the most. According to a teacher in a Title one school in Bedford Stuyvesant in Brooklyn, usually by this time her school has filled up three classes of preK with neighborhood children; but this year they received enough applicants to fill up only one class. Why? Before this year, neighborhood parents logically went to their local school to apply; this year they were not allowed to do so but were diverted to borough enrollment centers blocks away or were forced to fill out application forms online. The standardization and centralization of the process is inherently inequitable to those parents who do not have internet access or the time to travel long distances to sign up. This is yet another instance in which the Chancellor’s peculiar notion of equity works against real equity, as Eduwonkette and others have pointed out. My school, PS 3 in Brooklyn, has had 3 pre-k classes for the last 2 years. Parents would come to the school to register. Now they have to go downtown Brooklyn first. Our parents DO NOT do that! At this time we only have enough students for ONE class. Why can't parents register directly in the school? We are also in danger of losing our "gifted and talented" program – one of the few in Bedford-Stuyvesant, because of the new DOE testing. On top of that, the charter schools are beginning to take a number of our level 3/4 students (as well as some of the others), but especially students whose families are more involved with their education. The DOE is wreaking havoc with our school! Despite the fact that it is usually the middle class parents who protest loudest, in this case, as in the DOE's utter refusal to reduce class size, their expansion of small schools initiative, and nearly everything else that they do, the poor and neediest kids lose out the most. Public school kids will protest at Tweed every day in June to protest the budget cuts. June 4, 2008 (GBN News): Amid speculation that Mayor Bloomberg is seeking a way to remain in office past 2009 despite term limits, GBN News has learned that Mr. Bloomberg has indeed settled on a course of action that would allow him to continue as Mayor. A source at City Hall, speaking to GBN News on condition of anonymity, said that the Mayor intends to declare, on election night, that he has been re-elected, and he will then simply stay in office.